Heubeul is a fresh fonts highly detailed crafted font created and published by Pratama Yudha, an Indonesian, Bandung based type designer. 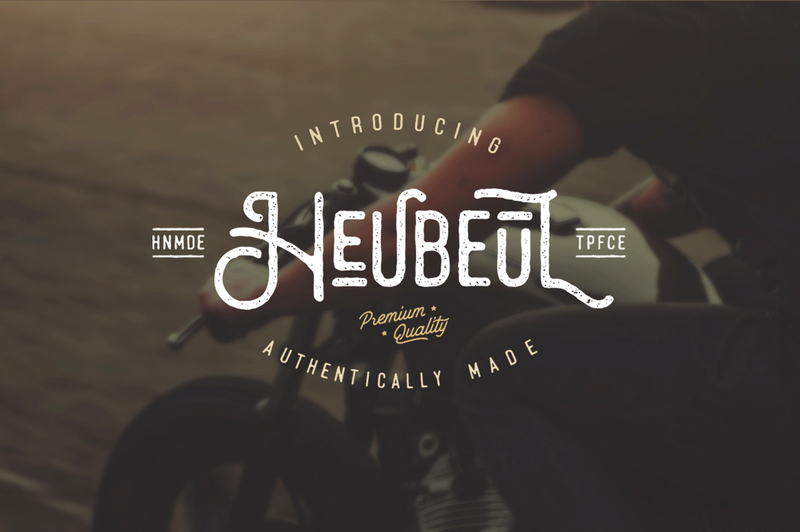 Inspired by the vintage chalk lettered, Heubeul comes with an extra bonus of vintage badges template with fully scalable vector that is suitable for digital lettering, logo, poster, t-shirt, photography etc. A nice font to have! A font description published on Thursday, May 12th, 2016 in Fonts, Pratama Yudha by Andrei that has 2,877 views.